Here is the FINAL design in my DINOSAUR series! WOW, I really am pleased with my designs and I am glad to be finished. 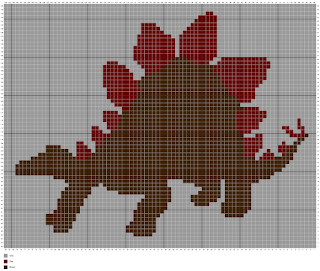 This is the monstrous Stegosaurus! I love the scales on this creature, they look so fantastic and make such a great design. 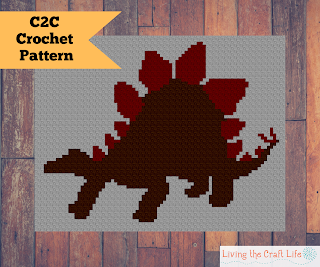 Here is the Stegosaurus C2C Blanket! Gauge not essential, C2C Crochet a triangle 8 blocks high. If your triangle measures 5.5” tall, your project will end up being 42”x 54”.